Aljazera Brokerage Company trades on your behalf on the ISX. We require a minimum of 100,000 shares for each buying or selling order. We shall email you a report with the details of your trades on the same business day. 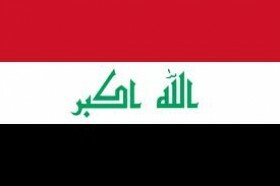 You can find up-to-date information on ISX stock prices, ISX market performance , ISX indices , ISX daily , weekly , and monthly reports , ISX updates and announcements , and financial information on traded companies on the Iraq Stock Exchange website , http://www.isx-iq.net . ( See our Useful Links Page , http://isxbroker.com/?page_id=275 ) .The ISX trades Sunday to Thursday 10 a.m.-12 noon ( Baghdad Time Zone , which is GMT+3 ) .